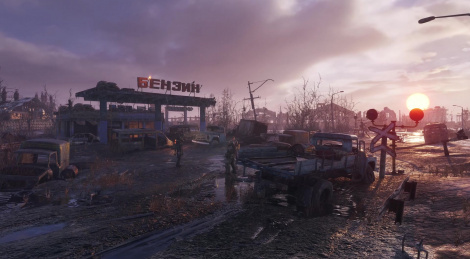 Deep Silver and 4A Games welcome you to the Volga with the all-new gameplay trailer of Metro Exodus. 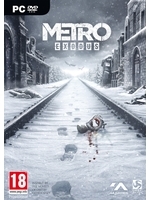 The publisher also revealed the game will launch February 22. Update: Added a high quality 4K 60fps version of the video. This game is looking so freaking excellent, having more open areas is doing wonders for it. So many great environments, different weather, change of pace, everything just looks incredible. Can't wait for it. This needs to be something seriously special to wash the taste of the first 2 games out of my mouth. Didn't enjoy those at all. The first two games are awesome. Don’t listen to Korn at all lol. I can’t wait for this, looks like the atmosphere is just as intense as ever. It will be cool to see a greater level variety. Looks GREAT!! This visuals only on PC :-)! You don't know that. This could be Xbox one X footage. Now wipe your feet at the door. Consoles are too weak... devs usually show their stuff on the most powerful hardware and that is the PC obviously. I only played like half the first one. It had great atmosphere but the gameplay wasn't that fun. Exactly my thoughts. Second was better, but it just wasn't very fun to play as a whole. Roll on S.T.A.L.K.E.R 2!